Marana Mass Lyric Video From Petta On YouTube Is Here! Petta is an upcoming Rajinikanth, Vijay Sethupathi, Sasikumar, Simran, Trisha and Megha Akash starrer which is scheduled to hit the silver screens for Pongal 2019. The movie is bankrolled by Sun Pictures Kalanithi Maran and it is directed by Karthik Subbaraj. Youth sensation Anirudh Ravichander has composed the music for this exciting project. Last week, the makers gave a massive announcement that the first single song will be out on 3rd December, the second song on 7th December and the entire album will be unveiled on 9th December. Recently, the team opened further about the first song. 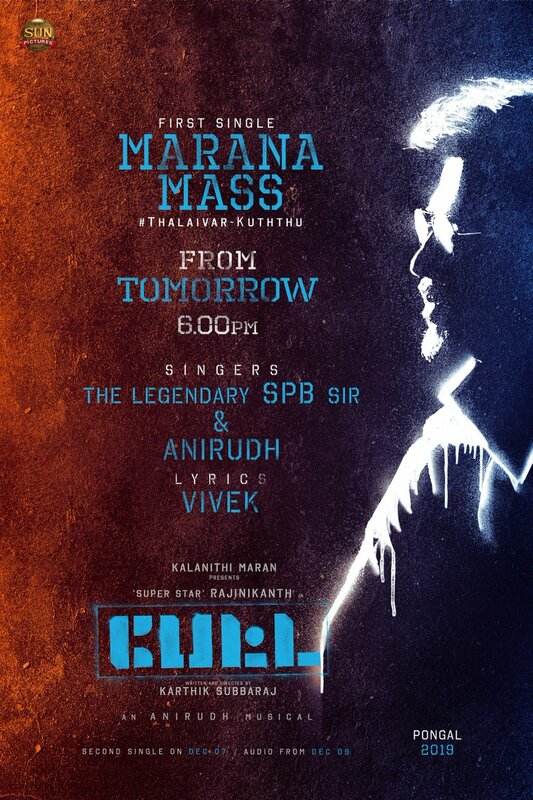 The song is named as ‘Marana Mass’, lyrics penned by Vivek and it has been sung by Anirudh and by the legendary SP Balasubramaniam. It was exclusively premiered for free on Sun NXT at 5.30 pm. And, the time is up for its YouTube release. Listen to the ‘Marana Mass’ song lyric video from Petta on YouTube here.